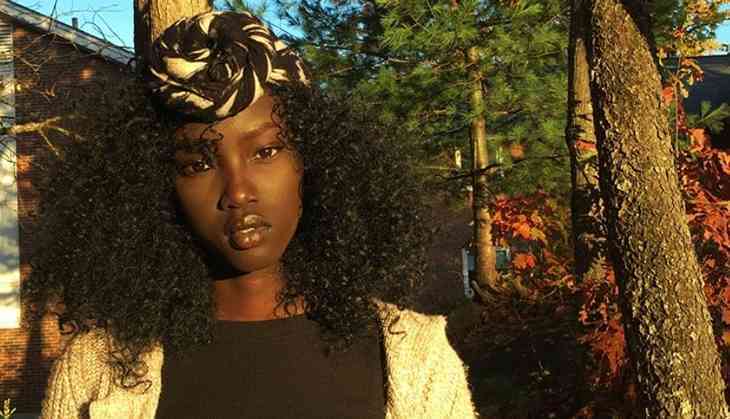 For 19-year-old Anok Yai, life was going as usual. A student of biochemistry, Yai’s family moved from Egypt to the US when she was two. Raised in New Hampshire, Yai dreamed one day of being on America’s Next Top Model, walking the ramps in Paris and working for top designers in the fashion industry. But, as is the case with dreams, they rarely come true. Yai soon gave up her modeling aspirations and decided to be a doctor. However, little did she know that it wasn’t meant to be. A chance encounter with photographer Steve Hall at Howard University’s homecoming celebration put her life on fast track. Dressed in denim shorts and a sheer black top, Yai went for Howard’s homecoming expecting nothing in particular. The much-awaited event is an annual celebration of black culture and Afro fashion. Needless to say, it brings together a number of youth from the community every year. For Steve Hall, a graduate of Howard University, the event was an annual gig. Almost as he was about to leave, he quickly snapped a picture of Yai, who was already being photographed by someone else. What followed was epic, almost. Within a few hours, Yai’s photo garnered thousands of likes on Instagram, the platform where Hall first shared her images. “At first, I questioned what everyone was seeing because I didn’t really see it,” Yai told the Boston Globe in an interview. From 300, Yai’s Instagram following swiftly increased to over 1 lakh. Following her dream-like success, Yai was immediately picked up by modelling agencies in New York and signed by the Next Models agency. “When I was younger I was extremely insecure about my skin color,” she said. “All I saw was light-skinned and white girls in the media. Now, I can speak my mind on certain topics and have people that will definitely listen. Now, I can use my mind and tell people about colorism and teach girls about self-confidence,” said Yai in an interview to Washington Post.